In a bold move, Lenovo decides to add the first AMD Kabini APU-powered model to its ThinkPad Edge family. It is already listed by various etailers and will arrive in Europe by the end of the month. The ThinkPad has a very long history, its roots dating way back in the early 1990s. First owned by IBM, it became Lenovo's brand in 2005. 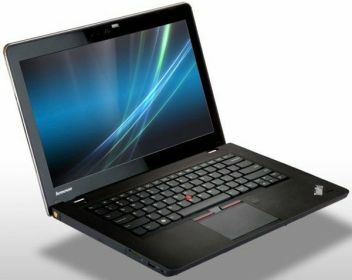 Now, this large family of laptop computers and tablets just got a new member, the AMD Kabini-powered Lenovo ThinkPad Edge E145. Targeting budget conscious consumers, the ThinkPad Edge E145 is powered by the AMD E1-2500 dual-core SoC, a chip from the Jaguar family. This APU integrates 2 cores running at 1.4 GHz and a Radeon HD 8240 GPU featuring 128 shaders clocked at up to 400 MHz. Its 11.6 inch matte display has a native resolution of 1366X768 pixels. In addition to the above, the ThinkPad Edge E145 features 4 GB of DDR3 memory and a 500 GB HDD. Bluetooth 4.0 and 802.11n WiFi connectivity are also available as standard features. In Europe, the list price stands around $640 for now, but this notebook is not available yet. By the the end of this month, we should have information regarding its availability in the United States and its pricing on that market.